Geraldine Carasco, St. Lucian national commenced employment at Spartan Health Sciences University on June 1, 1994 as a Receptionist. Geraldine also worked in several departments before moving to the Admission office as Admission Secretary in 2009. She was promoted to Chief Admission Officer from October 2014. 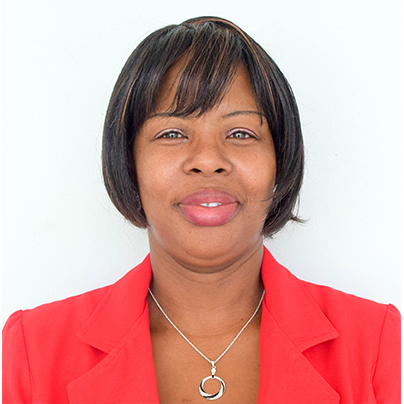 Ms. Carasco completed her secondary education at Castries Comprehensive Secondary School in 1988. In 1990 she attained a Secretarial Diploma from North American Secretarial School. In 1993 she completed a General Operator’s course with The Institute of Self-Improvement Systems Ltd. In 1998 – 1999 she attained First Class in the Basic, Elementary and Advanced Typewriting course with Pitmans Examinations Institute. Ms. Carasco has received several Achievement Awards from Spartan Administration and Student Associations for her dedicated work. Hobbies – Loves meeting new people, socializing, travelling, reading, listening to music.